Where You Want to Be. 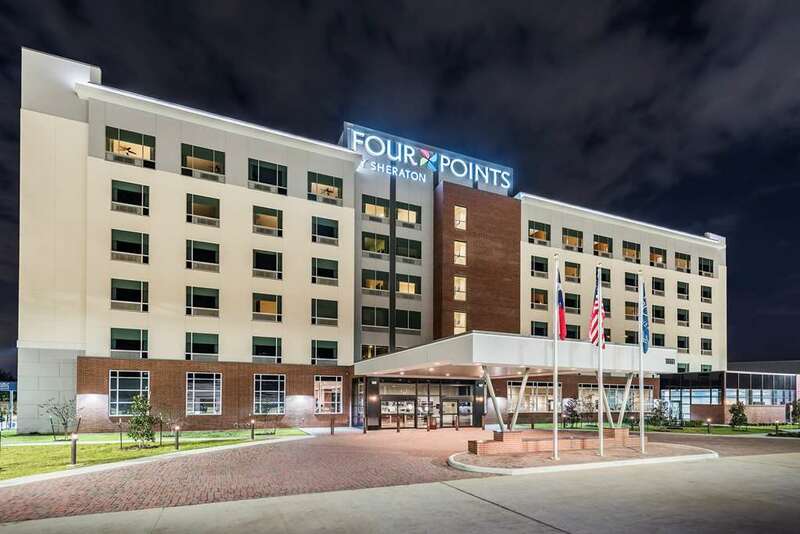 Conveniently located at the intersection of Interstate 10 and Baker Road, the Four Points by Sheraton Houston Energy Corridor is just minutes from the areas best shopping, dining, and entertainment. On the other side of the highway are Texas Childrens Hospital - West Campus and Houston Methodist West Hospital. Downtown Houston is 23 miles from our hotel, and George Bush Intercontinental Airport (IAH) is 37 miles away.Open for Business. We can accommodate a variety of groups and setups in our 2,500 square feet of versatile function space. All venues feature free wireless High Speed Internet Access and state-of-the-art audiovisual equipment. Our professional staff is ready to assist you in any way to ensure that your event runs smoothly.Home away from Home. Our 134 comfortable guest rooms have everything you need for a great stay, plus free extras like bottled water and High Speed Internet Access. Enjoy the convenience of a microwave, a mini-refrigerator, a 47-inch flat screen TV, and an in-room safe large enough to store a 17-inch laptop. Choose one king-size or two queen Four Points signature beds for a great nights sleep. Conveniently located at the intersection of Interstate 10 and Baker Road, the Four Points by Sheraton Houston Energy Corridor is just minutes from the areas best shopping, dining, and entertainment. On the other side of the highway are Texas Childrens Hospital - West Campus and Houston Methodist West Hospital. Downtown Houston is 23 miles from our hotel, and George Bush Intercontinental Airport (IAH) is 37 miles away.